Serving Tray for WM. Simon Brewery out of Buffalo, New York. 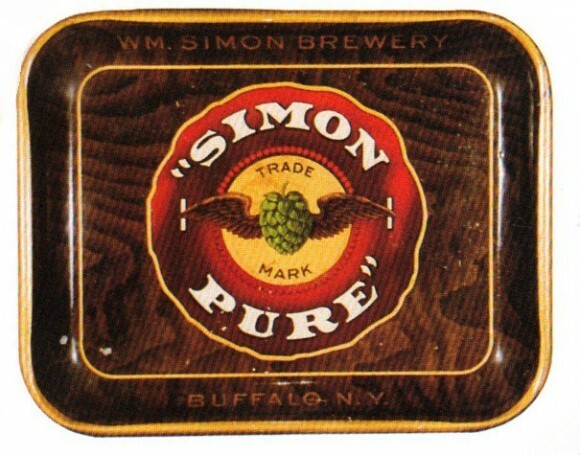 Simon Pure Trade Mark sits in the center showing a hop with wings.